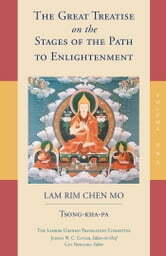 The Great Treatise on the Stages of the Path to Enlightenment (Tib. Lam rim chen mo) is one of the brightest jewels in the world’s treasury of sacred literature. The author, Tsong-kha-pa, completed it in 1402, and it soon became one of the most renowned works of spiritual practice and philosophy in the world of Tibetan Buddhism. Because it condenses all the exoteric sūtra scriptures into a meditation manual that is easy to understand, scholars and practitioners rely on its authoritative presentation as a gateway that leads to a full understanding of the Buddha’s teachings. Tsong-kha-pa took great pains to base his insights on classical Indian Buddhist literature, illustrating his points with classical citations as well as with sayings of the masters of the earlier Kadampa tradition. In this way the text demonstrates clearly how Tibetan Buddhism carefully preserved and developed the Indian Buddhist traditions. 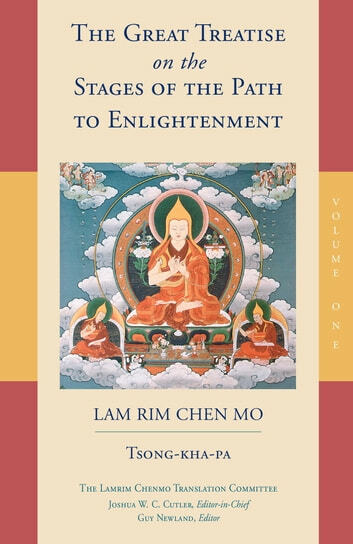 This first of three volumes covers all the practices that are prerequisite for developing the spirit of enlightenment (bodhicitta).